This is a photograph of Marianna di Bartalo from Dolcetti making giuggiulena – a brittle Sicilian toffee of sugar and honey with sesame seeds and almonds – said to be in part the legacy of the Arabs. I am holding the microphone. Marianna demonstrated how to make giuggiulena to a group who attended the Sweets Festival at the Immigration Museum (18th March). Eager participants filled the small theatre, they watched as she made it, smelt it, sampled it and took home her recipe, which I will share with you (see below). There was plenty of interaction with the group and it was a pleasure to field questions and to participate in the comments and discussions. Towards the end of the session Lidia, Marianna’s mother also participated. In some parts of Sicily giuggiulena is also known as cubbaita. e seeds). You may be familiar with torrone (nougat) which is common all over Italy and is made with almonds, eggwhites and sugar. Marianna and I had a discussion on stage about some versions also including honey – I know that a Sicilian friend of my mother’s adds this. The Festival was an amazingly successful day and it drew a very large crowd. People came to see great performances, eat glorious food, attend cooking demonstrations and see the exhibition on Sweets: Tastes and Traditions of Many Cultures (Indian, Italian, Japanese, Turkish, Mauritian). As well as Marianna there were cooking demonstrations on how to make Japanese wagashi and moshi sweets and Indian sweets. 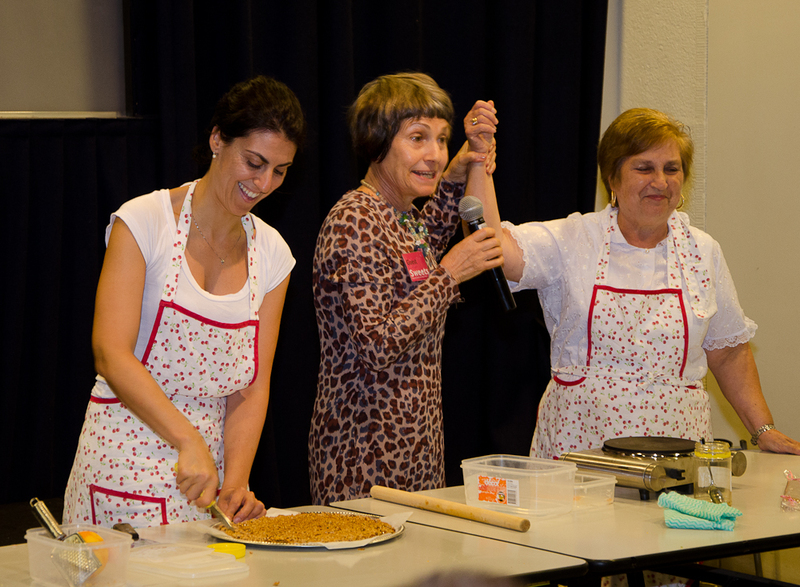 Members of the Turkish, Mauritian communities demonstrated how to make halva (helva). The range of food for sale from the participating communities was of extremely good quality. 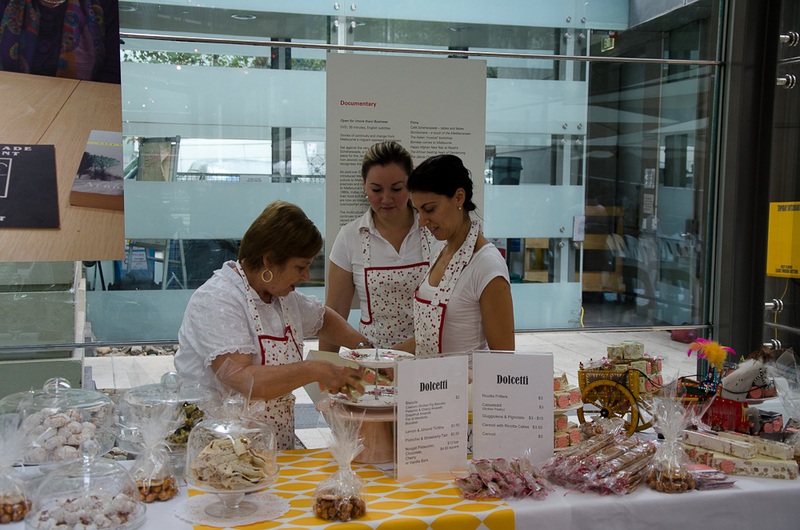 Marianna’s Dolcetti stall was stocked with an array of Sicilian sweets from her pasticceria in Victoria Street, West Melbourne. 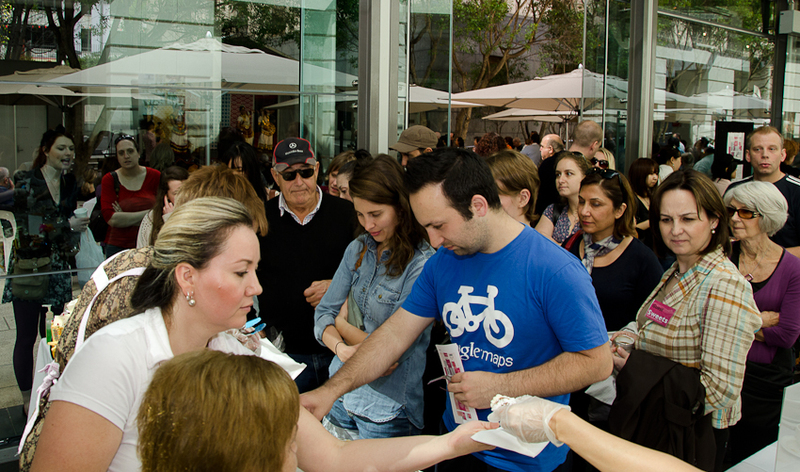 There were people lined up all day to buy samples of her cakes, pastries and biscuits. Her mother Lidia was making batch after batch of Sicilian fritelle (also called sfinci) and those who worked on the stall did not have time to have a break, from the moment they set up until they had sold out of everything. I believe this was the case for most of the stall-holders with many saying that they did not get time to see the exhibition on the first floor of the Museum. Like me, they are going back. Although the festival was a one off event, the Exhibition (at The Immigration Museum, Melbourne) goes on and is really worth seeing (15 March 2012 to 7 April 2013). 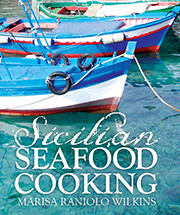 One cannot help but see the Arab influence on Sicilian cuisine – the Arabs ruled Sicily for two centuries (in medieval times they were sometimes called “Saracens” or “Moors”) and contributed to the development of Sicilian culture, the agriculture and architecture, and had a profound influence on the cuisine of Sicily. They are credited with bringing or contributing to the development of certain produce used in sweets: sugar, pistachio, sesame seeds, citrus, dates, cinnamon and cloves are some of the produce considered they made ices and pastries stuffed with nuts and dried fruit. Sicily is a blend of cultures and obviously, one cannot give the Arabs all the praise, there were the Spaniards, French, as well as the Normans, Carthaginians, Romans, Greeks and original settlers as well as them. Sicilian pastry chefs are renowned all over Italy and Marianna is no exception. 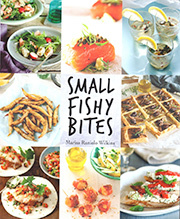 Marianna’s little pastry shop is filled with handmade delicacies made with natural and fresh ingredients. 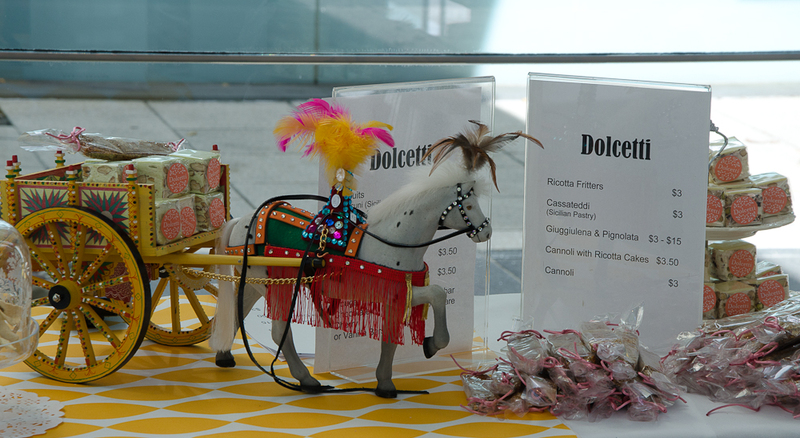 Her dolcetti (little sweets) are a work of art and she is very proud of her Sicilian heritage. As you would expect when giuggiulena (or cubbaita) is made in the various parts of Sicily, there are variations in the recipes – some use all sugar or all honey, some omit almonds. My relatives in Ragusa add cinnamon and I have seen recipes where a pinch of cumin is added. This is Marianna’s recipe for giuggiulena. Combine the honey and sugar in a pot and stir until it begins to melt and soften. Add the sesame seeds and almonds and cook, stirring continuously until it begins to bubble. Let it cook and darken to a dark golden brown color. Pour onto a sheet of baking paper lined with a touch of oil or oil spray or onto a lightly greased marble or granite surface. Flatten it slightly with an oiled rolling pin. Keep stored in airtight container. Giuggiulena is usually made for Christmas and more recently at Easter but because it keeps well, it is often served to visitors at other times of the year – it is particularly useful to have on hand in case unexpected guests come – one would not want to make a brutta figura. My relatives wrap each piece of giuggiulena in cellophane or greaseproof paper. I wish I could be there! It must have been fabulous! I go to Italy this year and while some people go for the sights I go for the food first! Can’t wait! Can you convert measurements to USA measurements? To convert kilos to lbs, use google – it will bring up many sites.